Exciting new classes have been incorporated into this year’s Houghton International Horse Trials. In addition to the traditional Three Day Event, hotly contested each year by many of the top event riders in the world, the venue will also host Norfolk’s Festival of Showing and British Showjumping classes. 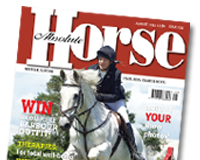 Showing takes place on Friday and Saturday, 24th and 25th May, with RIHS qualifiers for Hunters, Riding Horses, Cobs, Hacks and Working Hunters as well as Retrained Racehorse qualifiers for Hickstead and the Royal Windsor. In-hand and Ridden qualifiers for Equifest, BSPA Championships of Colour, Veteran Horse Showing Championships, Royal London and Chiltern Rider Championships will provide showing enthusiasts with an inspiring two days of sport. British Showjumping makes its debut with a £4,500 prize fund, Point Trophies and Leading Rider Awards. Classes over the weekend range from 80cm up to 1.30m and include British Showjumping Scope Festival Qualifiers.